The first TV appearance of the 3 men of JYJ was horrible. It was nothing new but an ‘exhumation’ in order to confirm the assault (T/N: originally부관참시, which literally means to dig up [a person’s] corpse and behead it). The entertainment program of Saturday, which has been coveting the ratings of 10% and boasting about the tradition of dozens of years, exposed the existence of ‘saseang fan’ but I wonder if we had to make do with its significance. 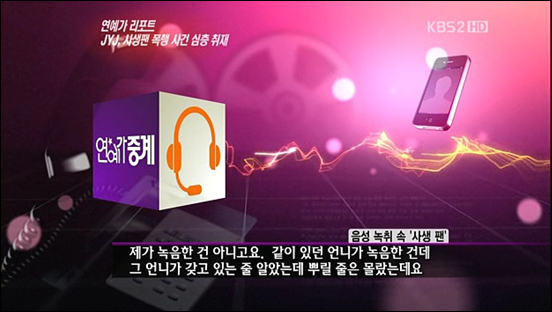 On the 10th, <Entertainment Relay> of KBS 2TV covered the JYJ – sasaeng fans controversy that has recently surfaced. 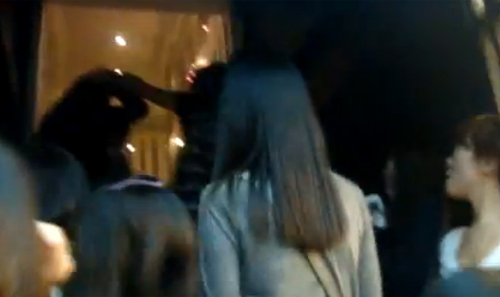 On the 6th, a media unveiled the ‘JYJ assaulting fans’ audio file which was recorded in 2009. JYJ got involved in an ‘assault controversy’. However, after informing that the audio file was edited, <Entertainment Relay> let us hear from the position of the sasaeng fan who was on the spot at that time instead of JYJ’s voice, reigniting the assault controversy. In addition, before the broadcast, <Entertainment Relay> was caught under fire for asking for tips about ‘the stars’ secret photos and videos’ through its official website and openly giving notice that tipping fee would be given. On a survey about the JYJ sasaeng fan violence controversy taken from twitter, 99.56% of people held a negative opinion on sasaeng fans. On March 7th an SNS analyzing firm took a social consensus on twitter by tweeting and asking people to mention them with who they believed was wrong in the sasaeng fan controversy. They received over 5,375 tweets and the public opinion was a vast majority with 99.56% saying that sasaengs were wrong and 0.44% saying it was JYJ. The netizens also sent tweets criticizing sasaengs by saying “JYJ sasaeng fans show us a reality of how Korean celebrities basic human rights are being violated every day” and said that the emerging information [about sasaengs] made JYJ seem like the victims. The sasaeng fan survey held on March 7th was done by OMS (Opinion Mining System) which is known to use SNS for a hands-on approach to public analyzation. Please do not remove without full credits. T/N: Entertainment Relay‘s Shin Hyeon Joon made a jole saying his friend, entertainer Tak Jae Hoon, was his ‘sasaeng fan’. Many of the comments in the next paragraph are adressing that. Entertainment Relay MCs are dealing with such questions from the fans and public after the report that they did on JYJ’s sasaengs. Because of quotes from the MCs, such as “sasaengs should be considered as fans”, many people have been flooding in comments about the nature of their broadcast, especially how they covered the serious nature of the sasaeng problem with jokes. In this type of situation, which can can cause people to mentally collapse from stress and anxiety, smiling jokes [from the MCs] were looked down upon. [TRANS] 120306 ‘Blue House’s destruction of evidence of an illegal investigation of civilians’ was buried under the report about JYJ assault controversy in yellow press!! A ‘destruction of evidence of Blue House’s illegal investigation of civilians’* buried under the report about JYJ assault controversy in yellow press!! Violating celebrities’ privacy and personal life covers an important political and social issue of all time..
On the 6th, at the press conference of the MB Corruption Committee of the Democratic United Party, the Prosecution Office revealed that the Blue House has destroyed the evidence of the illegal investigation of civilians of the Prime Minister’s Office of Public Service Ethics. Jang Jinsu, a senior official of the Prime Minister’s Office of Public Service Ethics claimed, “Actually, the Blue House has requested the destruction of evidence of the illegal investigation of civilians.” The related transcripts were also unveiled. Especially, Choi Jongseok, who was an administrative official at the Blue House at that time, revealed that Jang Jinsu has been requested to give perjured evidence at the Appellate Court; they have promised to give him a Hyundai and a banking association in return. 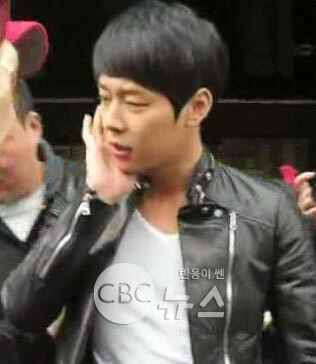 [NEWS] 120306 JYJ Violence Controversy, The Attack of Anti Media…Isn’t It Too Strange? 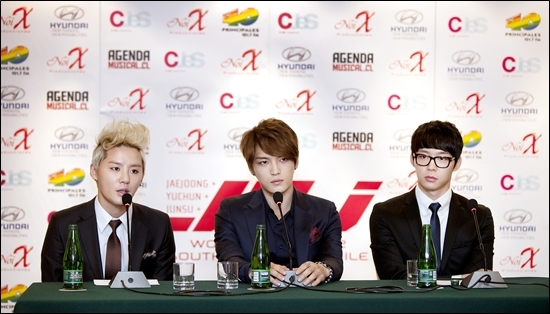 Recently JYJ has found themselves in the midst of a violence controversy. However, that JYJ has sasaengs that abuse them and seriously infringe on their privacy is a well known fact. Because of this, if one carefully looks at the situation it is easy to figure out that the attacks were a form of defense. However because the original media did not report about the relationship that exists between JYJ and sasaeng fans, JYJ were singled out for specific instances in which they retaliated [against sasaengs]. This face has been a main point of complaint by fans. The JYJ violence controversy stems from the problem of saesangs, which are a specific group of fans who in order to fill their own needs of seeing and interacting with their idols up close, seriously infringe on the idol’s privacy using extreme actions. Sasaeng fan culture is very different from the general pop fan culture and has been receiving much attention as of late. South Korean pop music known as ‘K-Pop’, is flourishing around the world, finding new fans across Asia, Europe and the US. This film reveals the dark side of the increasingly popular industry. South Korea’s pop industry is worth more than $3bn a year. It is driven largely by music known as “K-Pop”, which is popular across Asia and is even attracting attention in the US. But Korean pop stars have been subjected to tough contracts and severe restrictions on their personal lives. A growing number of legal disputes over their agencies’ harsh treament has caused the government to issue standard contracts and establish a support centre for the artists. Drew Ambrose reports from Seoul. This timeline is translated from Toshiro Ono’s blog. Toshiro Ono is a freelance nonfiction writer who writes mostly about the mafia and crime.